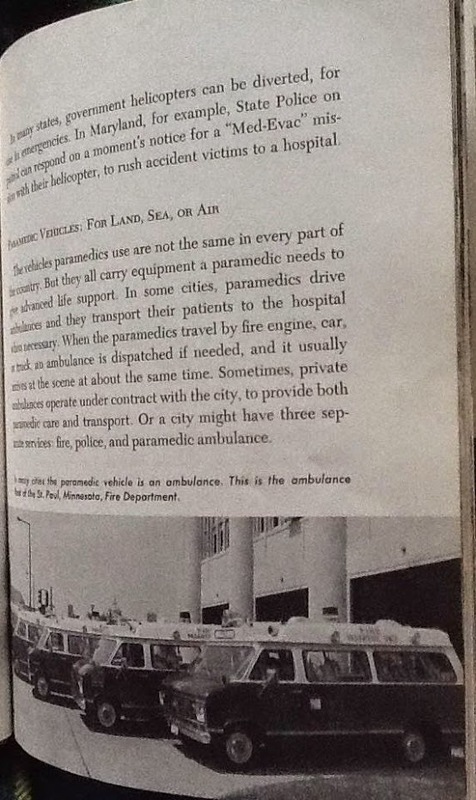 Submitter: This was a great public library choice when it was published, a few years after the field was created. 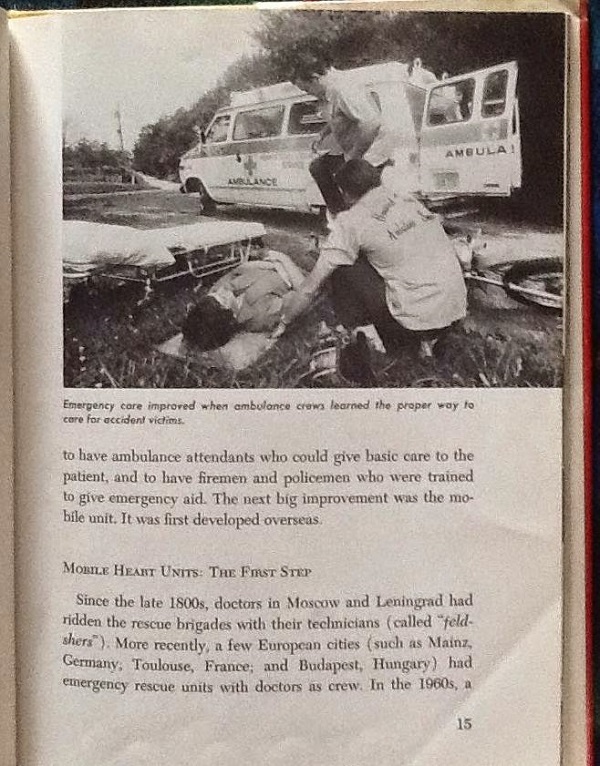 It can probably be said that the basics of emergency medicine haven’t changed much since the beginning, and since this is a kids’ book, there aren’t any dated medical protocols, but I still think that, given the changes in vehicles and equipment and that at least a few new things have happened in the field since then, this one should be let go. 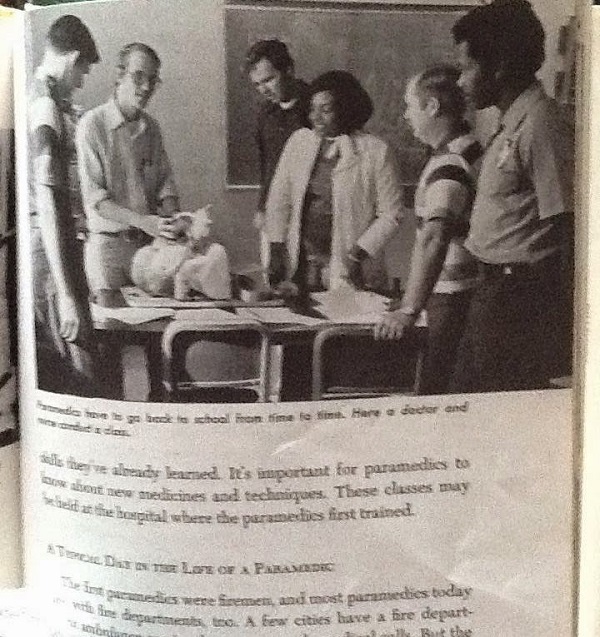 You’ll notice no one wore sterile gloves back then, that only became standard in the early to mid 80s. 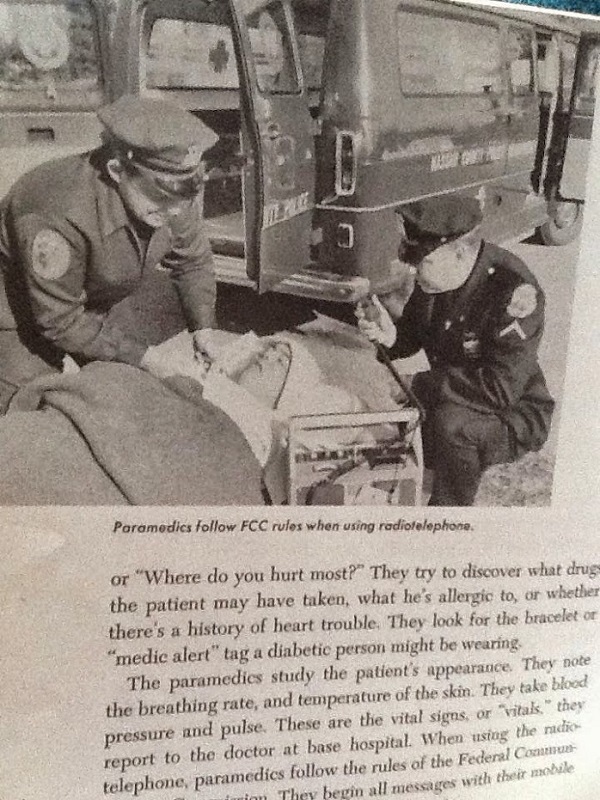 I also love the paramedics using the old-fashioned “biophone” aka radiotelephone in the one picture [below]. The technology was instrumental in getting the field started, but was abandoned by the end of the 80s. I still enjoy watching this stuff on “Emergency” reruns, but think the kids could use a more current one. 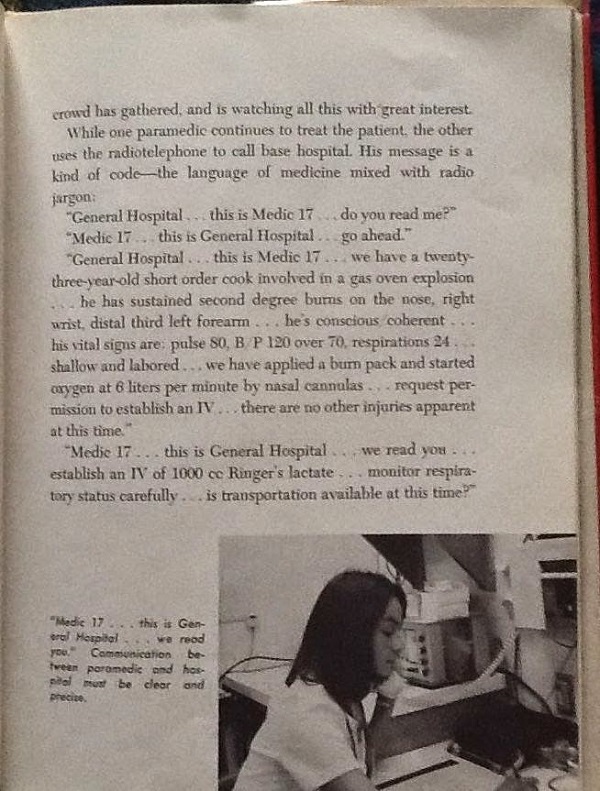 Holly: Children’s career books are in such abundance that there’s no reason to keep something like this for so long. 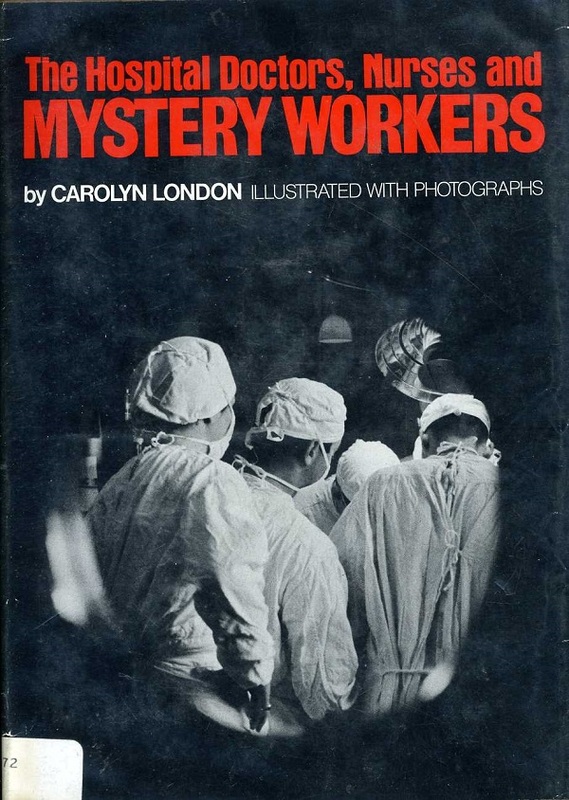 If you can’t get anything new for budget reasons, make up some “free career resources on the web” bookmarks and put them on the shelf where this would have been. Having nothing is better than having books like this. If it’s mixed in with newer books on the subject, get in there and remove the old ones! No sterile gloves. Ewwww. 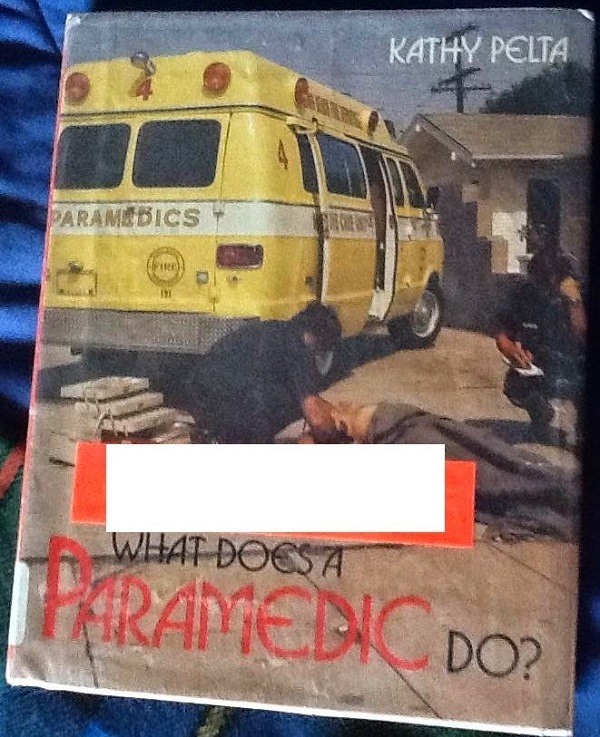 This whole book reminds me of watching Rescue 911 in the 80s. 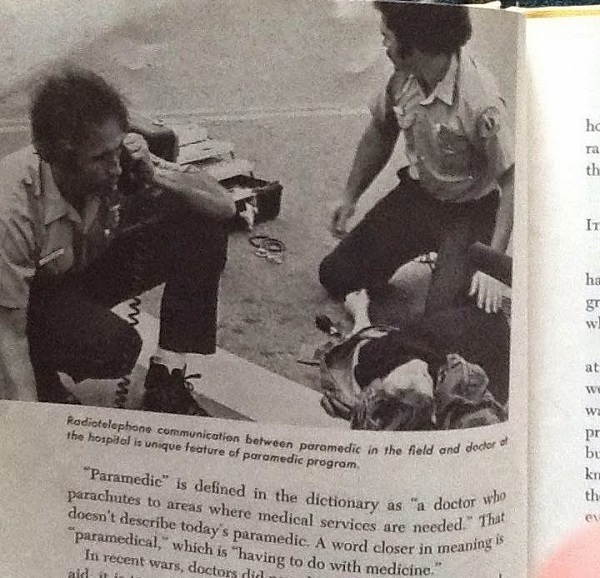 I’ll see your Rescue 911 and raise you Emergency! Interesting. The ambulances in our area still look like those shown – at least some of them. Others look like box trucks.